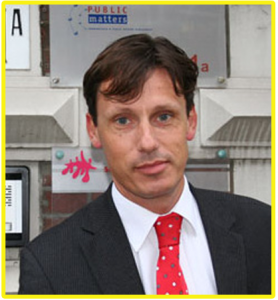 Peter van Keulen is founder and honorary member of the Dutch association of public affairs professional. He founded this association in 1999. As a professional he is currently owner of public affairs agency Public Matters. Previously, he was head of PA of the Dutch operating companies of Ahold, including Albert Heijn, Gall & Gall and Etos. Worked as a PR/PA consultant at an international consulting firm, for which he also worked in Washington DC. Started his career as advisor of a member of parliament. Studied Public Administration at Leiden University, and the London School of Economics. Member of the Board of Trustees of Save the Children Netherlands, and member of the Machiavelli Foundation. Gives lectures and workshops on public affairs and lobbying, including at Campus The Hague, Leiden University.